Donated by Roy Masters, Blacksmith, North Creake. and steel bar chopper and punch. 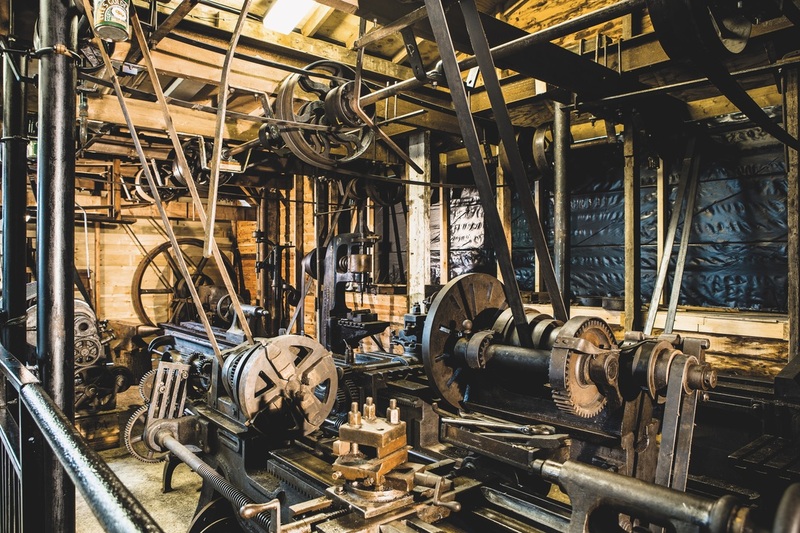 The entire workshop is driven by a system of line shafts, belts and pulleys, powered by a Marshall Steam Engine. 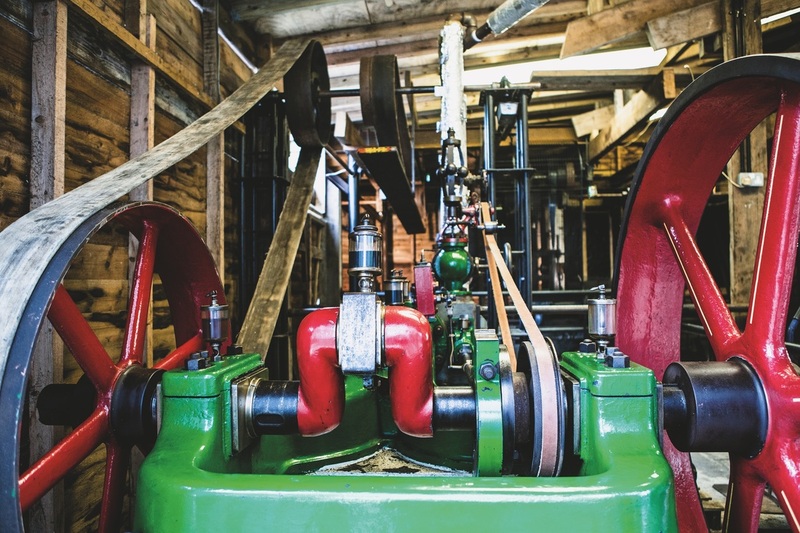 STEAM ENGINE DONATED BY Edme Malt, Mistley. TYPE Single Cylinder Horizontal. 16 HP. CYLINDER 12 inch. Stroke 16 inch.